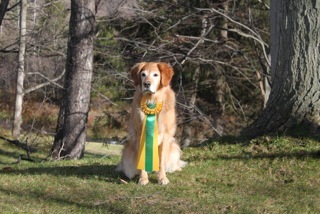 We are very proud of our class offerings at Southtowns Dog Training Club. Whether you have a pet dog or are heading into the ring, we have a wide variety of classes to suit your needs. If you have general questions about our classes, please contact Brenda Judkiewicz at bajud@aol.com. However, If you are interested in a particular class, please contact the instructor directly for information regarding the next session start date, length of session, cost of class, prerequisites or any other questions regarding that class. Note: Please go to our "Show-n-Go and Class Schedule" page to see all of our classes. Not all classes are offered at all times. Conformation Handling Class: Handling class welcomes all whether novice or advanced. Handling classes are paid for on a drop in basis. Puppies are welcome to class as soon as they have had their basic immunizations (Rabies, Parvo/distemper). The class is a mix of puppies and adult dogs, novice and advanced handlers. Positive reinforcement methods are encouraged and clicker training is used. 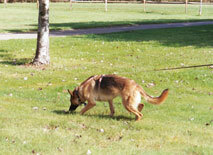 Advanced handlers will hone their skills while working to improve the presentation of their dog. It is expected that each handler will gain a good understanding of canine structure and their own breed standard. This class is designed for those who want to train with the Obedience Ring in mind. Introduction to a variety of exercises at all levels. It is to create a desire for the dog to enjoy and look forward to challenges and building a partnership and working bond with your puppy. This class will be to create the attitude and desire for your dog to want to work with you as a team. There will be exercises that will teach Attention skills slowly so that the dog gains confidence and will work reliably even with the most distractible situations. This will be for dogs that have a basic understanding of heel work and are interested in the next step in preparation for "regular" novice obedience. All of the exercises required for the title will be taught along with the rules. Fundamentals of Basic Obedience(Beginner Class) - We will work on leash control / sit / down / stay / come when called. Also, we will be addressing good social skills with dog and people. Versatility - This is a new concept with combining exercises from different levels to challenge and stimulate your dogs learning. CLASSES FOR DOGS AND HANDLERS TO LEARN THE SKILLS NEEDED TO PREPARE FOR CD - CDX - UD TITLES. Teaching the fine points of heel work both on and off leash. Build confidence on Stationary exercises including the Stand for exam and the Static Group Stays. Recalls that are reliable, with focus and accuracy. Fun and Fast Finishes. Heel work will be done with more intensity and distractions. Drop on recall skills with speed and reliability the focus. Retrieve of the dumbbell and other objects to ensure foundation for Utility. Both High Jump and Broad Jump skills taught to increase drive and confidence. Out of sight Group stays to increase time and self-control when being left. Working exercises that will allow the dog to think and make correct decisions. Heel work now becomes combined with signals. Attention and confidence are skills the dog will develop. 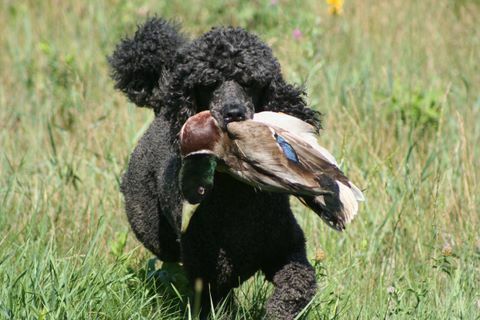 Articles /Scent work exercises to teach the dog to identify your scent with a retrieve. Gloves or other objects will be used to teach the dog to follow your direction to retrieve back to you. Moving Stand teaches fast stand while in motion and allows a stranger to examine the dog, followed by a prompt and precise return to heel. Straight Go Outs, reliable sits with safe and accurate jumping skills. Classes to Prepare for CD- CDX- UD Titles. Agility Handling Skills: In this class we will be working on specific skills. For example: Crosses, getting distance, sending, etc. We are mainly looking to help you and your dog become a good team. Rally Practice Drop-ins: This class is for dog-handler teams that have an understanding of novice obedience exercises, but need to practice getting through a course in a smooth, polished manner. Students will have an opportunity to run through courses with assistance from an instructor. Novice, advanced and excellent signs will be available. Cost will be $10.00 per week, drop-in. This class will get you and your puppy started on the right path by using positive reinforcement methods to teach basic obedience commands like sit, down, stay, come, wait, leave it and more. There will be opportunity for socialization for your pup with people and other dogs. Also, learning how to communicate with your puppy and be responsible dog owners. This class is geared toward the younger puppy, 3-8 months old. All levels. Readying the dog and handler for tracking tests. Informal practice sessions are held at various locations and times. Contact the club and they can let you know who locally is currently training! training entails and connect you with a training group to get you started. 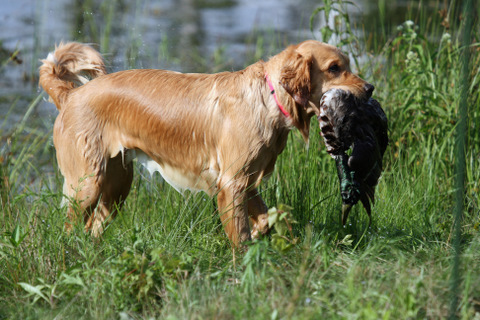 See what your RETRIEVER can do!